Boba Fett was a Mandalorian warrior and bounty hunter. He was the only unaltered clone of the famed Jango Fett, created in 32 BBY as unit A0050, one of the first of many Fett replicas designed to become part of the Grand Army of the Republic, and was raised as Jango's son. Jango taught Boba much, training him to become a skilled bounty hunter as was his father-figure before him. In 22 BBY, Jango was killed at the Battle of Geonosis, which opened the Clone Wars. Just a boy, Boba was forced to grow up and took to travelling the galaxy. Later, he became a bounty hunter and took assignments from beings such as Jabba the Hutt, and achieved notoriety despite his young age. Fett's Mandalorian armor was originally constructed from duraplast, allowing it to sustain a great deal of damage without degrading. On his left duraplast blast plate a digital life support system readout was visible. His armor also had two shoulder pads which were orange, like his kneepads. 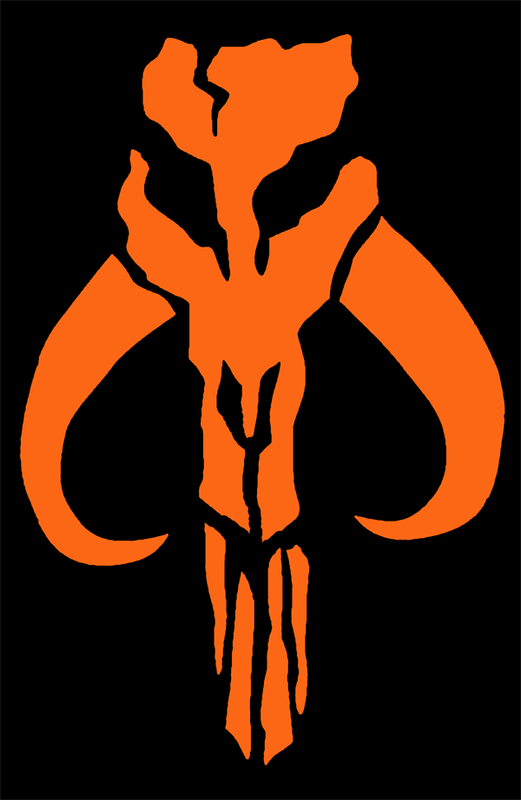 The left shoulder pad exhibited the Mandalorian skull logo, while his right chest plate displayed an emblem of unknown origin. However, the symbol was also seen on Jaster Mereel's ship and on the helmet of at least one clone trooper pilot at the battle over Coruscant, during the Clone Wars. None Yet - send us yours! Copyright © 2000-2015 Mike Reed. All rights reserved.